We’ve brought in cups to make your life easier, because even when you’re on the go, you shouldn’t have to sacrifice on taste or convenience. 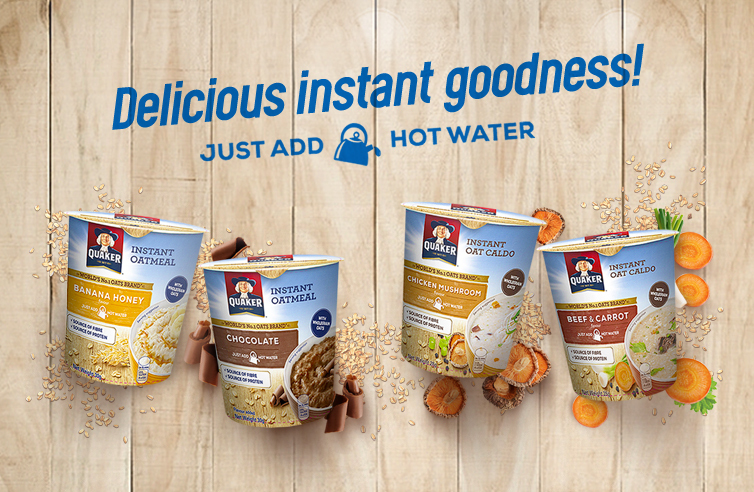 So pick up a cup in your flavor of choice – Chicken N’ Mushroom, Beef & Carrot, Banana Honey, and Chocolate. Look for it at a supermarket near you!